I already like TTon FB! Love your website and your giveaways! We love Target…and Totally Target!!! 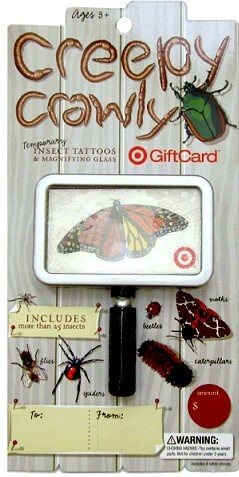 I love Totally Target and would love to win that gift card! Thanks for everything you do for us with this site! I like you on FB, thanks! Totally Target is the site that I count on for finding the best deals at Target. Would love to win and with your help make the gift card go a long way. Thanks again for this giveaway. Thank you for all you do, it means so much to so many of us! And of course I already ‘like’ your fb page! That is one cool gift card. Would love to win it. Thanks!! I would love to win, love your work, thanks. Woot! Bugs & money… Love! bugs are fun would give to my son for bday in april! I love your gift card giveaways. LIke this site so much, come and look everyday! Thanks for all you do! I love your cool gift cards. So much gratitude for all you do. Love this page and target! !